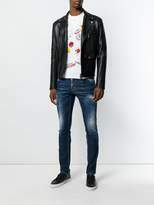 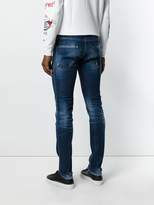 These Cool Guy jeans from DSQUARED2 are aptly titled. 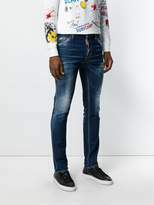 With a lightly whiskered design inspired by Seventies punk fashion, these stylish jeans features a slim fit and versatile dark wash. 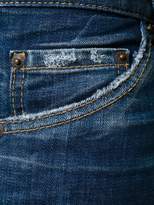 It's finished with belt loops, a five pocket design, a slim fit, a regular length and a button and zip fly.